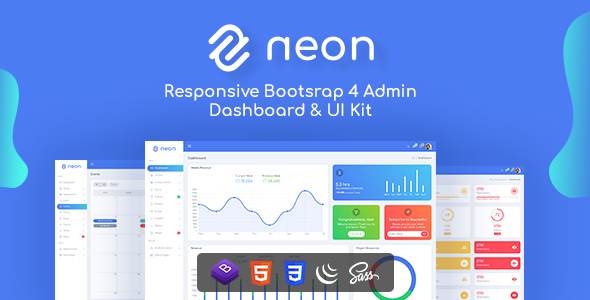 Neon is Feature packed & powerful Admin dashboard with UI Kit. It is built on Latest Bootstrap version, HTML5 , CSS3 and jQuery. All elements are handcrafted full precision as well customizable as per requirements. The Admin Dashboard is Fully Responsive and gives full flexibility to developer to customize it. It consists of 3 Unique Dashboard Layouts, 80+ Inner Pages and 7+ Modern Icon Sets. We are very supportive of our client base. Please, Feel free to contact us in case of any query.